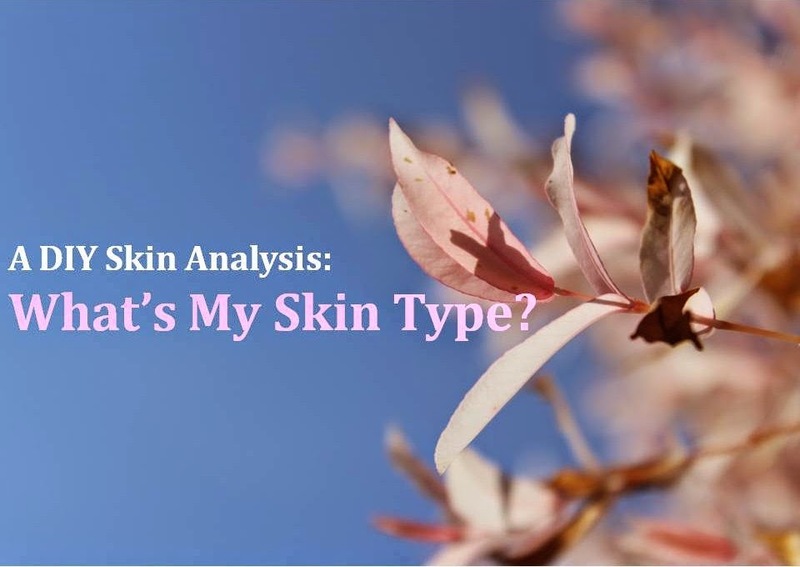 DIY Skin Analysis: What's My Skin Type? We all know that looking after our skin from a young age is vital if you want to have good skin throughout your lifetime, and with endless advertisements and campaigns claiming that their products can do this and that for you, it can all become a little overwhelming. In this post I'm going to strip it right back down to basics. Before you invest in any skincare product or regime, you need to know what your skin type is first and foremost. I would guess that for most people that aren't in or interested in the beauty industry, skincare is like a foreign language and goes as far as makeup wipes, maybe even soap and a flannel. In this *very detailed and hopefully informative* post, I aim for you to leave this page knowing what skin type you have, and your next step to finding the right products for your skin. Disclaimer: I am not a qualified dermatologist, but I am a trained beautician and so without blowing my own trumpet, I kinda know what I'm talking about. To write this post, I have combined my own experiences and knowledge along with the book 'Beauty Therapy, the foundations, 4th edition by Lorraine Nordmann' to inform this post. P.S- There is lots to cover, and lots of details, so buckle up! -Skin elasticity test- with your thumb and fore-finger, gently grab your cheek. Pull it and let go. If it bounces back to normal quickly, your skin elasticity is good. If it takes a little longer to get back to its original position, your skins elasticity will naturally be not as good (more common in elder people). -Pigmentation- without applying any makeup, have a look at your skin closely. Are there any areas that look a little darker, a little lighter, or just a different shade to the rest of your face? If you have areas of patchiness/skin discolouration, this is a sign of pigmentation. -Blemishes can be anything from a spot, a raised spot underneath the skin, a spot that has either a black or white head on it, a cluster of spots or areas of redness that have been cause by a spot etc. -Milia look very similar to whiteheads. They can come in all sizes but are generally quite small and round which is why they are quite commonly mistaken for whiteheads. They are most commonly found around the eyes, eyelids, under the eyes and down towards the cheeks in some cases. They can be removed by your local GP which is completely painless and some beauty salons may perform this treatment too so if you have a local salon, ask for help! I am trained in it and remove my mums all the time at home so don't panic! Interesting fact #1: oily skin is caused by the same gland which causes dry skin-the sebaceous gland! Oily skin happens as a result of the sebaceous glands under the skin producing too much sebum. This is then layed onto the skin, causing a greasy/oily surface. Interesting fact #2: It is a build up of the sebum within the sebaceous glands which cause pimples, whiteheads and cysts to appear on the skins surface! How else can I tell I have oily skin? If you are a teenager, more specifically a boy, skin more often than not tends to be oily. This is due to a the stimulation of the male hormone androgen at puberty. Oily skin tends to reduce down into your twenties. So there we have it. Your total guide to giving yourself a DIY facial analysis! My advice is to wash your face with a proper cleanser (not a face wipe) and give it a once over with some toner. Do not apply your moisturiser, as it will allow you to work out if you have dehydrated skin or not. Then and only then, should you carry out your skin analysis! Now you are clear on your skin type, you need to start purchasing your chosen products. A few great brands that I can swear by are: Garnier, Nivea, Simple, Loreal, La Roche Posay, Bioderma, Origins, Emma Hardie, Chanel and I am soon to try out Clarins which I have heard great things about! Forget all about serums and masks and eye creams and everything else. All you need to invest in for now is a cleanser, toner, exfoliator and a moisturiser. If you want more information on why and what they do, I have a 3 step skincare routine which you can find here with all that information. Until you are happy and comfortable with that, you can learn about all the other stuff another time and I have a blog post in mind so keep posted! If you found this post helpful or have any other questions then I'd love to hear from you! Please leave me a comment below, or even send me a tweet! (You can tweet/follow me here, I spend most of my time on twitter). For my Facebook page, click here, and to find me on Instagram daily, just click here! To see what products I am currently using to remove my makeup at night and how I do it, just click here!